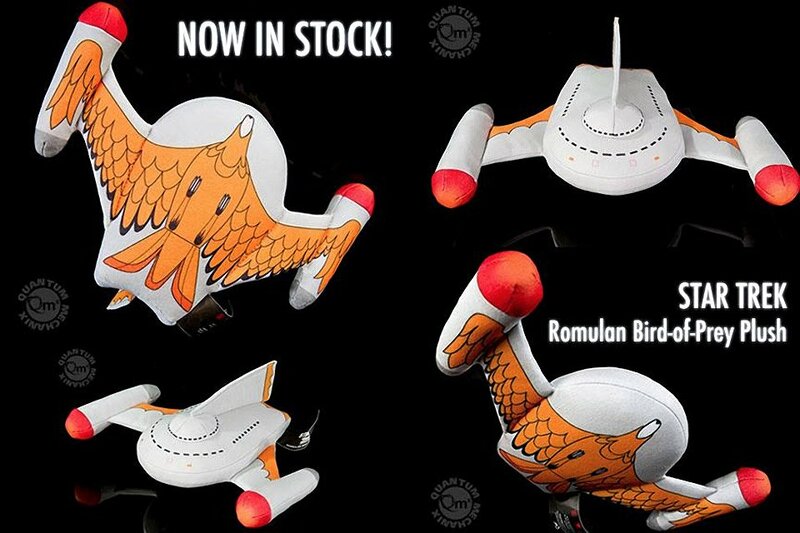 Quantum Mechanix Inc. (QMx), a creative studio and developer of specialty movie collectibles, has released its plush Klingon Bird of Prey ship, featuring the familiar cool gray hull with a glorious golden-orange bird in flight depicted on the underside. This chibi-style ship measures approximately 6.75 inches long, with a wingspan of 9.5 inches from nacelle to nacelle. Be sure to check out QMx’s U.S.S. Enterprise plush and you can wage war with your cuddly new friends.